Welcome to the scheduling section of Read2Speak! 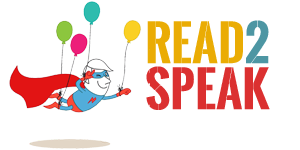 Before scheduling a lesson, we suggest to sign up for Read2Speak. Signing up is completely free and give you the opportunity to become a subscriber, receive our free newsletter and discounts for members. Now… push the colorful tab and choose your class! NB: you need to log in to access the GROUP LESSON section. Not for scheduling the FREE SKYPE LESSON and the ONE-TO-ONE LESSON.